So, you still want to be a harp player, huh? Well son, every creature has its hobbies, and if you want to pass yourself off as the real thing, you better learn how to blend in. 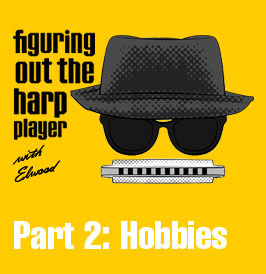 In Part 2 of his ethnoblography, Figuring Out The Harp Player, Elwood sketches out a few key points.